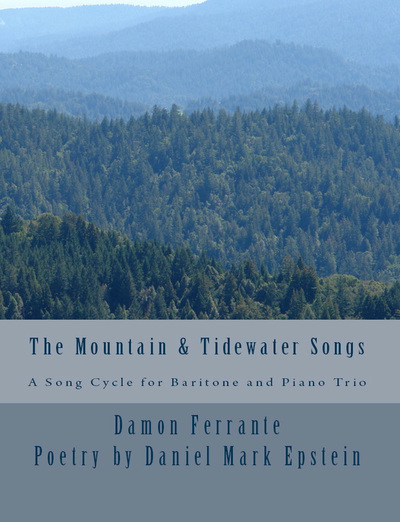 Inspired by a series of wondrous and dreamlike poems by Daniel Mark Epstein, this remarkable, new song cycle for baritone and piano trio by composer Damon Ferrante (2014 Simkins Award Winner) is a thrilling addition to the repertory! 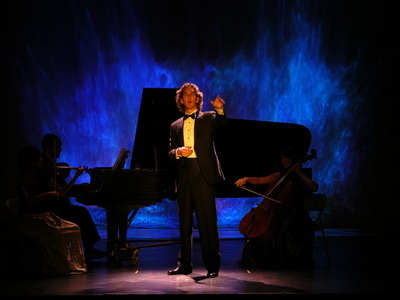 A deep sense of place, as well as the sweep, lyricism, and warmth of nineteenth-century American life inform both the music and poetry. The cycle charts the journey and reflections of an exile as he leaves behind the towns, countryside, and people he has known. These places and characters, like the apparitions of memory, become an interior landscape, where romance, adventure, duels, buffoonery, loss, villainy, and kindness all play out in ever-swirling reverie and drama. Performed throughout the United States, The Mountain & Tidewater Songs, serves as an excellent companion piece on concert programs featuring standard-repertoire works. The violin and cello parts are included. "Although much of the setting for this cycle is in a 19th-century world, the piece finds an excellent balance between the warmth of melodic lines and highly innovative and thrilling modern compositional style."